If you find this review helpful and want to own your own kit, please click on any Force of Nature Link throughout the review to purchase your own system. Don't forget to order extra capsules with your free shipping! During the past year, I've made friends in many places around the world. We have a little-known glue that holds us together. Allergic contact dermatitis. We or one of our children have allergic reactions when we touch things. Many of us are allergic to MI (methylisothiazolinone) or other preservatives as I've noted in previous posts. Many are allergic to fragrances including both synthetic and natural scents. Essential oils are our enemies. Some are allergic to coconut based products. Some are allergic to metals like cobalt, nickle and gold. Cleaning supplies are a constant struggle because companies aren't required to disclose their full ingredient list, hiding small amounts of our allergens in "fragrance" or "surfactant" and since there are no laws requiring disclosure of what we put on our counters, we find ourselves needing emotional support just from the anger we feel when we get responses from companies that use words like proprietary. (Though laws are changing as we speak!) Even companies like Seventh Generation and Norwex add unsafe chemicals to their "all natural" products and it's like pulling teeth to get companies to disclose ingredients. Many general practitioner doctors and nurses don't take the allergy seriously because painful cracking skin is not as dangerous as anaphylaxis, (even when it lands your child in the hospital because a paper cut has become cellulitis). We are a passionate group trying to educate each other and the world to recognize allergic dermatitis as a real problem. That said, one of my new friends posted about a newer company that is trying to help people who are concerned with what we're cleaning with. Most people wouldn't ask for cleaning supplies for Christmas, but I asked my husband for this new system and I was giddy when I opened my gift! (I told him that it was the ONLY thing I wanted and he would ruin my Christmas if he didn't buy it for me - manipulation at it's finest!) It ended up being a cheap gift for him to go purchase! This is not new technology or a new cleaner. It's been around for years and it really does kill germs. (verified independently by the good people of my daughter's school district) There are other companies who sell large scale systems to be used in hotels, universities, sports arenas and theme parks. Medical supply manufacturers are using this to disinfect and clean and because it's environmentally safe, is hypoallergenic, completely non-toxic and poses almost no risk of pathogens developing a resistance to it. 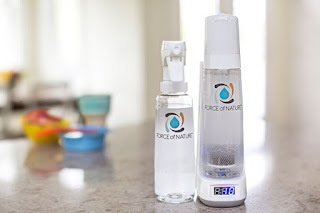 Here's my mostly unbiased review of Force of Nature Cleaning system. I say "mostly" because I love it so much that I'm no longer truly unbiased. But I am honest about what it can and cannot do. I sing its praises as I've found something that actually removes the pee smell from the bathroom where most cleaners try to cover the smell with perfumes and end up making it more intense. That alone makes it worth the very reasonable startup cost! The first set of pictures shows greasy finger prints. 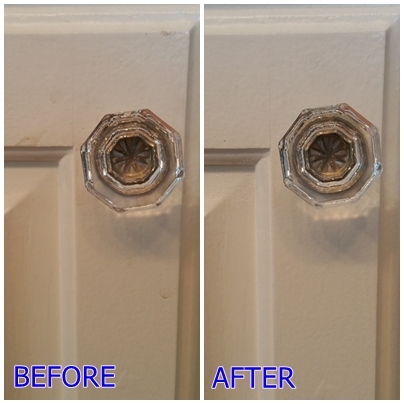 The second picture shows half of the mirror cleaned. It's hard to get a good picture of a clean mirror) I guess that's why most catalogues just gray out the reflection), so you'll have to take my word for it. This particular mirror in my house shows every streak and smudge all the time because of the way the sun shines into the room. 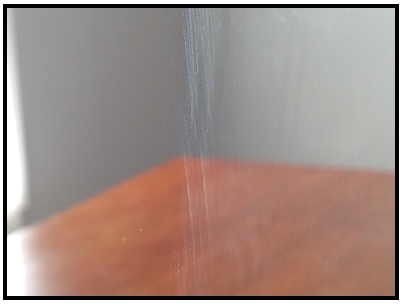 Even my Norwex kit leaves streaks on this mirror. I don't know why the rest of the mirrors and windows seem to be immune to streaking, but this one was cleaned well with FofN and a very clean cloth. It cleaned easier when I used a dry Norwex or eCloth glass cloth. You have to make sure you're using a dry cloth or paper towel to buff it clean. A squeegee will not render desired results. 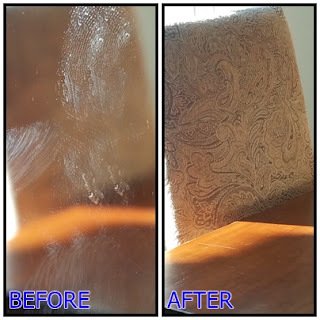 NOTE: One friend said she found glass to be a little more finicky to clean than regular Windex because she has to make sure she fully dries the mirror or window to ensure no streaks. It makes a difference if you use a very clean bleached cloth. If there is any dryer sheet or fabric softener residue on the cloth, it won't wipe to a streak free shine. 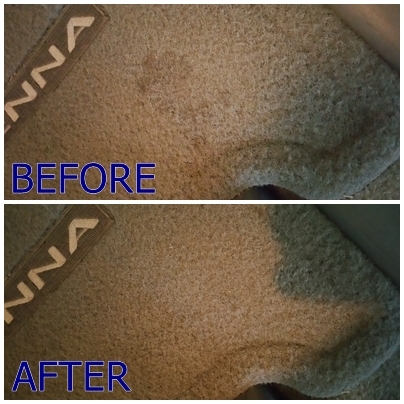 I usually end up using my Norwex or eCloth window cloth to wipe it down after I spray it. ⭐⭐2 stars on existing soap scum. ⭐⭐⭐⭐4 stars on frequent cleaning and keeping soap scum from building up. To be fair, the company doesn't claim FofN will cut through soap scum, so I didn't expect much. We use Kiss My Face olive oil bar soap which tends to leave a bit more soap residue compared to liquid cleansers. 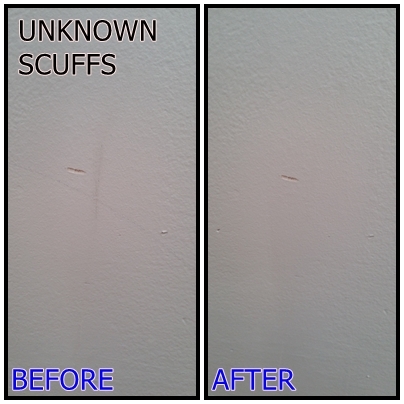 The picture below shows the before shot after 2 weeks of normal use, but without more than a wipe down (don't judge me! 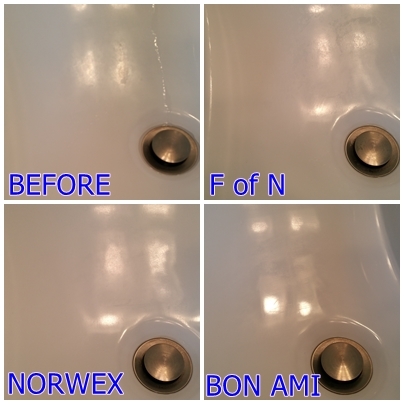 ), the next is FofN, then a simple wipe down with a microfiber cloth, and finally after using a mild abrasive, Bon Ami, which is what I use to scrub the buildup in my toilet bowls and shower floors. The Bon Ami did the best, but for frequent cleaning, I use FofN with a microfiber cloth and it does fine. 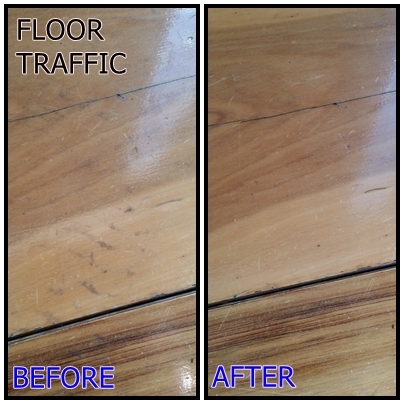 I probably use the abrasive cleaner once every 3 weeks or so (or when I have guests at my house) to get a good shine. ⭐⭐⭐⭐⭐5 stars on outer bowl. I usually wipe everything down once because I don't like getting pee on my rags. I spray down the pee sprinkles with FofN and then wipe it down with toilet paper. Then, after I clean the bowl out, I spray the whole throne down and wipe it down with a dry rag. If you use a wet cloth, you'll probably get streaks because this product doesn't contain drying agents like alcohol. ⭐⭐2 stars on inside the bowl water ring buildup. I get rings around my bowl if I don't clean it every day or two. And who cleans the inner bowl every day? After having kids, I clean the seat and under-seat daily because, well, I don't want to sit on their pee. 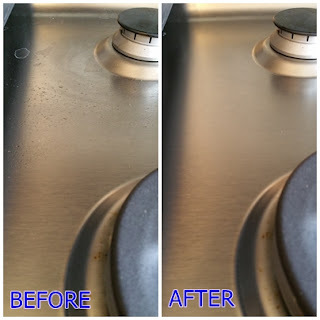 I use Bon Ami (others have told me they use baking powder) to clean the inside of the bowl. After I get the ring scrubbed out, I spray the whole thing down with FofN to deodorize and finish it off. I thought FofN did a good job. I had to rub at it, but it worked as easily as any commercial stainless cleaner. Since this test, I've been pairing the cleaner with a microfiber glass cloth and find it a very good combination with the least amount of work. Car upholstery. ⭐⭐⭐⭐⭐ 5 Stars. 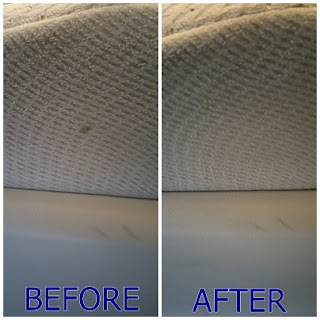 Easily took basic dirt spots off of the upholstery and carpet. 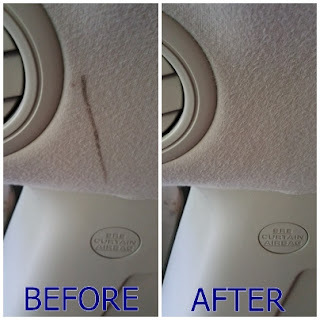 My sister reported that FofN cleaned the leather seats in her SUV. After several months of driving, the leather seat had picked up some of the dye from her denim jeans. 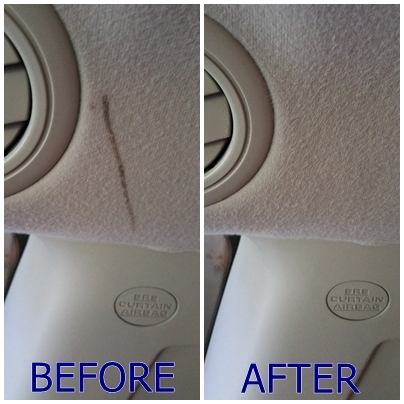 She accidentally sprayed the seat and noticed that the dye was lifting from the leather, so she wiped it off with a cloth and she said that it came off like magic without damaging the leather at all. Pencil, Pen, Crayon. ⭐ 1 Star. Not many basic cleaners can take crayon, pencil and marker off of a wall without some abrasive or scrubbing. This didn't surprise me as I already knew that electrolyzed water does not typically do well with petroleum based oils or waxes. To be honest, I can't rate on actual pet stains, but I did have an incident where a child wet all over carpet. Most moms have had this experience. Most recently, I soaked up the excess urine with a large rag, then doused the area with FofN cleaner and soaked up the area with another towel. No residue, no perfume covered pee smell. No smell at all. It was the easiest accident to clean up. 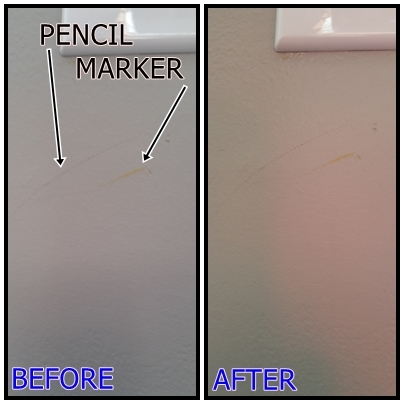 I also used this as a spot treatment for the house carpet for basic spots. I haven't tried it on wine or juice mostly because we only allow water on carpeted areas, but if I could make a couple gallons at a time, I'd put in in my carpet cleaner and use it that way. Bathroom and kitchen. ⭐⭐⭐⭐⭐ 5 Stars. This is the best bathroom and kitchen cleaner I have ever used. It cleans floor to ceiling. Countertops, toilets, floors, stainless, refrigerator, table, chairs, you name it. I love it. I usually use a wet cloth to remove dust or crumbs, then spray the surface down and wipe it off with a dry or lightly damp cloth. Deodorizing. Just spray and let dry. -The only thing I've used that actually gets rid of the pee smell in the bathroom around the toilet. As I stated before, this alone is worth the cost. -I poured about 3 tablespoons into my shower drain. Got rid of the nasty drain smell that seems to arise from the depths without warning. -The bathroom, after cleaning smells like nothing. Just clean. LOVE it! Sports Equipment. ⭐⭐⭐⭐⭐ 5 Stars. - Sprayed a smelly shirt, shoes, shin guards, socks. 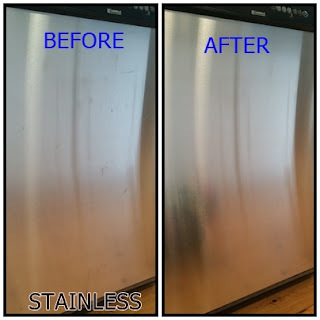 - Cleaned and removed all the nasty refrigerator and freezer smell. I had previously used bleach water which was messy and I had to change into work clothes in case I dripped bleach. FofN is much easier and works just as well. The system. Ease of use, appearance, etc. Ease of use. ⭐⭐⭐⭐⭐ 5 Stars. My child can read the quick guide and easily work it. You just empty the little salt and vinegar packet into a bottle, press a button and after 4-6 minutes, it's ready to pour into your spray bottle. Spray bottles. ⭐⭐⭐⭐ 4 Stars. They have 2 spray bottles, but it looks like the second generation spray bottle is the one they sell with the system now. Both have benefits and flaws in my opinion. 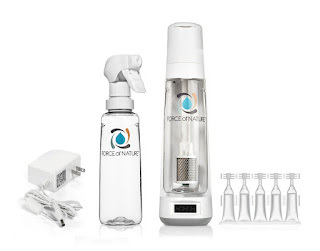 The original sprayer creates a fine mist and with a pumping action, you can achieve a continuous mist. 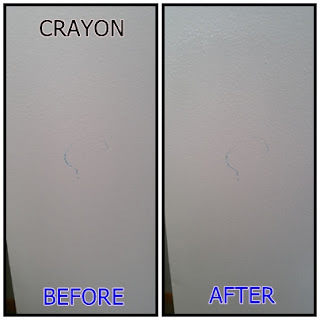 It's great for covering a large surface like a shower wall or tub. Ergonomically, it's OK. The pump is a little stiff, but fine for most users. A young child might have trouble with it or someone with arthritis or muscle weakness could find it tiring to use. It's also a little tedious to close. To accommodate the continuous spray, it has a tight seal that requires the arrows to be lined up and tightly fit into place. My biggest complaint is that when I drop it, as I often do, it can pop open and spill the contents. This isn't a deal breaker for me because it's inexpensive and totally non-toxic and non staining. The new sprayer is similar in shape, but has a basic spray or stream function like most store bought cleaners. It is easier to spray and much better for soaking larger areas down (like sports equipment and carpet accidents). Ergonomically, it is better than the original sprayer, The spray mechanism is easier to squeeze and it's easier to close with a simple screw-on top. The down side to this bottle is that the screw-on sprayer loosens easily and overall the sprayer is rather fragile. I broke the plastic head off the first day when it slipped out of my hand. It still works fine, it just looks broken. I like it. The company asked me if I liked the color and display. Because of the high traffic area I have my system in, I don't keep it on the counter regularly. I told them that if I did have it in the kitchen or displayed somewhere, I think I'd rather have a gray base and bottle cap, but this is really not my biggest concern. I was actually really surprised that the start-up cost was so reasonable. After researching some of the electrolyzed water systems out there, I was expecting to pay several hundred dollars at best. Some of the smaller industrial systems are several thousands of dollars, so to see the system retail for less than $100, it was an easy decision to give it a try. The salt/vinegar packets are reasonable too making the cost of use after purchasing the startup package pennies per bottle of cleaner. I'd love to just have the recipe because I'm cheap, but it sure is easy to use a pre-measured packet. They will sign you up for automatic shipments when you purchase the kit, but this is easy to adjust or cancel depending upon your volume of use. Customer Service/Support. ⭐⭐⭐⭐⭐⭐⭐⭐⭐⭐ 10 Stars out of 5. I've communicated several times with the Force of Nature Cleaning company from asking how the product works, how it can be used, what it works on and eventually begging to be a salesperson because I'm such a fan. They have replaced defective items in a very timely manner. They are incredibly responsive and friendly and helpful. I honestly can't think of any negative aspect of their service and support. Because the efficacy of the cleaner and deodorizing power of hypochlorous acid is so unstable, the solution only lasts a couple weeks. This may turn some people off, but I have never had a bottle last more than a week or so. The batches are smaller than a normal sized bottle of cleaner you'd buy at the grocery store. I usually use a bottle and a half to clean my entire house and then I use the other half throughout the week for basic cleanups (countertops, doorknobs, etc). I've been using it for well over a year now, so I know more about it than I did when I first started using it. I can answer questions about what it does and does not work on. 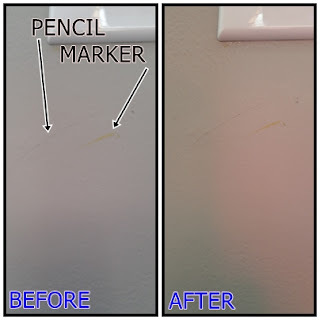 I'll even test the product on a cleaning task for you if you want to know about a specific task I did not address above. Feel free to ask questions about my experiences or share your own experiences with Force of Nature below! So interested in this! Go figure, I see this post after the 50% off expired. Any chance they'll extend the offer or provide you with a new one? Thanks for the review! There's a new 50% off code until July 31st! 50% is available again on the starter kit. The code is DISINFECT. Thanks for the coupon code! I saw this in an online ad and reading your perspective and review is invaluable! I'm very tempted to get it. I've been slowly trying to use less harsh products in my life. Do you know if this could disinfect shoes? Spraying the bottoms in hopes of killing of germs? I have a toddler and a new baby and I’m constantly hoping to keep the new baby away from daycare germs until he gets all his shots. Just thought I would ask :) thanks! i love it !its all have been looking for ! Ah, the life of the "perfect" wife and mother! She dabbles in everything. She cooks and bakes, she designs and sews. She plumbs, does electrical and cement work and paints. She gardens, cans and cleans. She refinishes and re-purposes. She sings and acts. She is chronically impatient and occasionally yells; she hates exercising, no matter how fun people make it. She laughs at her own jokes. 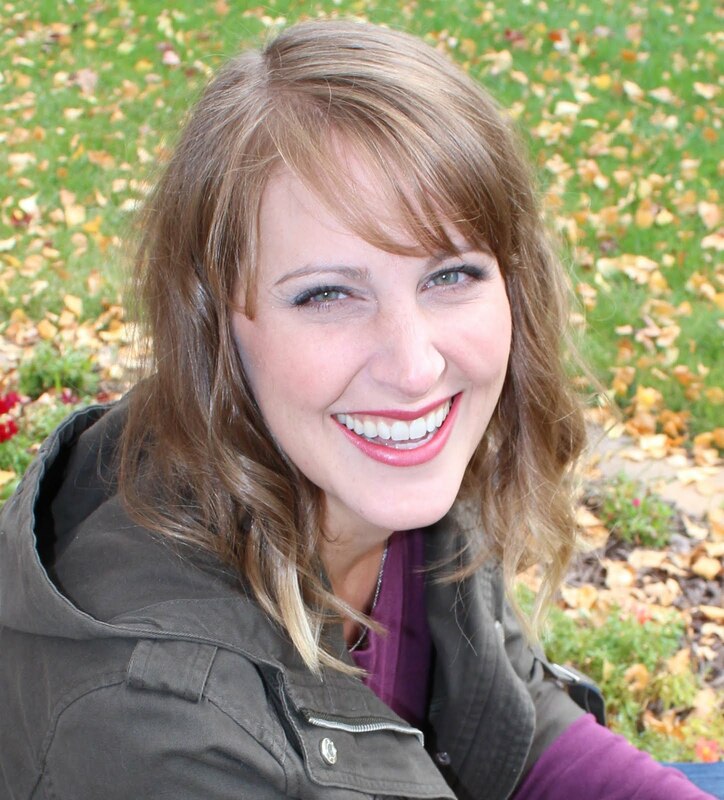 She sometimes serves up a French accent with breakfast just to make her kids roll their eyes. She gets thoroughly annoyed by clueless drivers and is often annoyed at everyone. She lives in the frozen north, but hates being cold...go figure. Oh, crap! I've said too much. Maybe you don't really wish you were her, but don't tell her. She prefers to live in her own little bubble. All images are property of this blog's publisher, unless otherwise noted.. Simple theme. Powered by Blogger.